Returning to two hotly controversial areas of criminal law, the Supreme Court on Thursday cut back on the constitutional protection against prosecutors’ use at trial of out-of-court accusations but added new firmness to the constitutional ban on the execution of convicted murderers who suffer from an intellectual disability. The rulings sent the Justices into varying blocs, sometimes with unpleasant exchanges. The wide divisions in the rulings in a child abuse case — Ohio v. Clark — and in a murder case — Brumfield v. Cain — may have reflected in part the tensions due to late-in-the-Term pressures, but they also showed that the Justices sometimes find it easy to take conflicting paths to the same outcomes, making agreement look less like that. Probably the more significant of the two new rulings was the child abuse case, because the Court for the first time began to answer a question it had left open for more than a decade about the scope of the Sixth Amendment Confrontation Clause. The issue is whether the ban on out-of-court statements as evidence at trial if the person who made them does not show up at trial applies when the utterances are made to someone other than a police officer, gathering evidence for prosecution. The Ohio case involved comments that a three-year-old boy in Cleveland made to his teachers about physical abuse by Darius Clark, his mother’s boyfriend. Prosecutors used what the boy had said as evidence to help convict Clark of assaulting him. Under Ohio law, children under age ten are considered too young to be able to give testimony in court, so the boy was not called to the stand. Clark’s lawyers argued that using what the child told his teachers as evidence violated his constitutional right to confront witnesses against him — especially because Ohio law requires teachers to report evidence of child abuse to law enforcement authorities. Since issuing its 2004 decision in Crawford v. Washington, a major Confrontation Clause precedent barring out-of-court statements accusing someone of a crime if that person is not available to testify, the Justices had left undecided whether that ruling applies when the statements were made to someone other than police. In Thursday’s ruling, the Court did not give a hard-and-fast answer to that question, but it did say that there could be circumstances — and the Cleveland case presented one such scenario — in which an out-of-court statement to someone other than police could be used at trial without violating the Confrontation Clause. 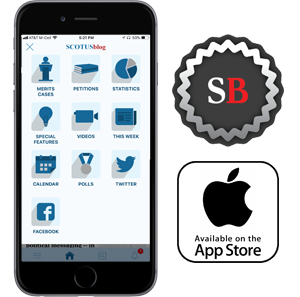 And, the opinion written by Justice Samuel A. Alito, Jr., went on to indicate that a child’s out-of-court accusations almost never would be excluded from the trial under the Crawford precedent. 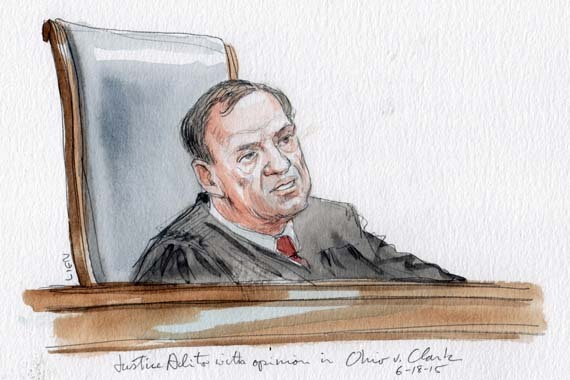 In general, Alito wrote that statements given to people other than the police “are much less likely” to be the kind of statements that would be barred under the Confrontation Clause. The use of the boy’s accusations. according to the ruling, did not violate Clark’s Sixth Amendment rights. The ruling overturned an Ohio Supreme Court decision that had barred the use of the boy’s testimony against Clark. While that outcome was supported by all nine Justices, that outcome was deceptive because of two strongly worded concurring opinions. 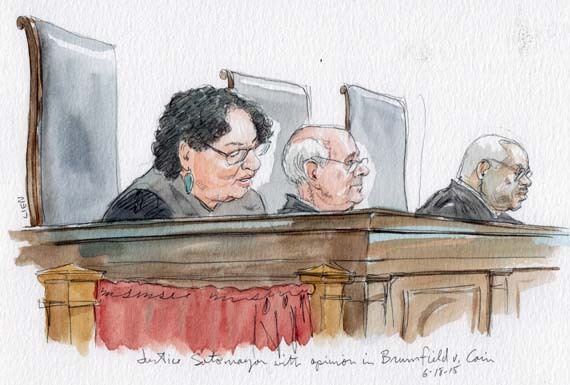 While the Alito opinion had the full support of Chief Justice John G. Roberts, Jr., and Justices Stephen G. Breyer, Elena Kagan, Anthony M. Kennedy, and Sonia Sotomayor, three Justices said they only supported the outcome, not the reasoning of the Alito opinion. Justice Antonin Scalia, in a separate opinion joined by Justice Ruth Bader Ginsburg, openly and directly accused Justice Alito of trying to undermine the Crawford precedent and its support for a sturdy enforcement of the Confrontation Clause. Justice Clarence Thomas also wrote a separate opinion, milder in tone, disagreeing with the scope of the Alito opinion. The Court openly split five to four in the other ruling Thursday, giving a Baton Rouge man convicted of murdering an off-duty police officer (moonlighting as a security guard) a chance at a new hearing to show that he is intellectually disabled, and thus the death sentence imposed against him cannot be carried out. He was denied such a hearing by state courts and by a federal appeals court. Under the Court’s 2002 decision in Atkins v. Virginia, individuals convicted of murder who are found to be intellectually disabled cannot be given the death penalty. Justice Sotomayor wrote for the five-Justice majority, in an opinion that was focused almost exclusively upon the specific evidence about whether the convicted man, Kevan Brumfield, was intellectually disabled. But the opinion nevertheless was significant because it came in a case in which Louisiana state courts had used the analytical technique that the Supreme Court has endorsed for determining intellectual capacity. The majority found that the lower court had misapplied that technique in denying Brumfield a hearing on his intellectual state. The ruling found that Brumfield and his lawyers had clearly demonstrated that he was intellectually disabled, at least sufficiently to get a hearing on whether he met the standard for that status that would make him ineligible to be executed for his crime. The actual outcome of his plea on that point was left to lower courts. The majority opinion was supported by Justices Breyer, Ginsburg, Kagan, and Kennedy. 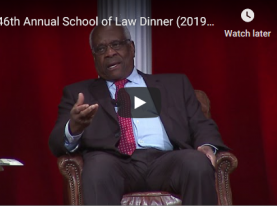 Justice Thomas wrote one dissenting opinion, which was joined by the Chief Justice and Justices Scalia and Alito. The Thomas opinion was an emotionally charged recital of the facts of the police murder for which Brumfield was convicted. Thomas even appended to his opinion a photo of the female officer, in her uniform, adding to the drama of his recital. And he provided a link to Brumfield’s videotaped confession, on the Court’s website.